Hello Everybody! 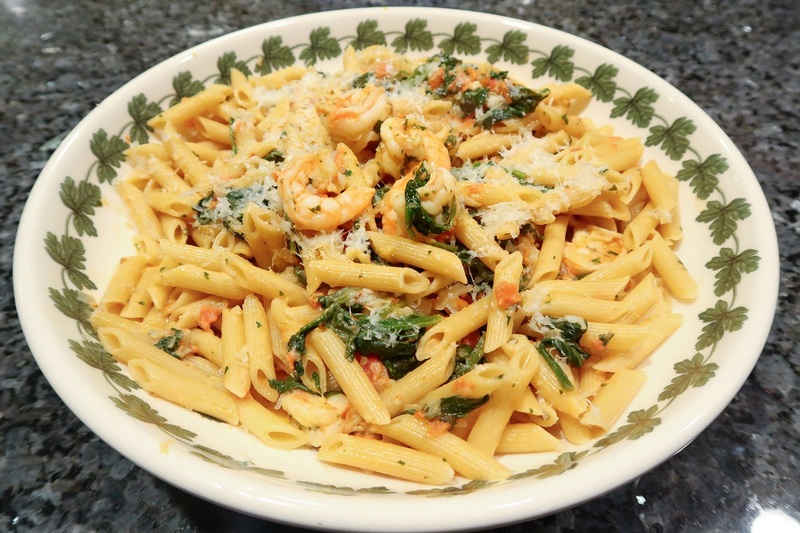 Today I would like to share with you this delicious and creamy Tuscan-style pasta with shrimp recipe! This colorful, full of flavor dish perfectly complements the Spring weather that has finally arrived. Watch along as I prepare this recipe in the video below or keep reading for the written recipe. Begin by bringing a pot of water to a boil. This will be used to cook the pasta. At the same time, pour enough oil to cover the bottom of a deep skillet. 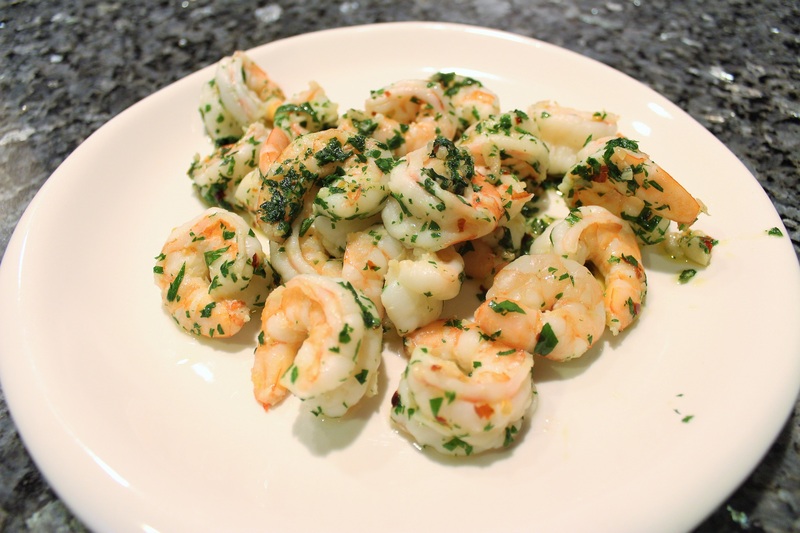 Stir in half of the garlic and then add the shrimp. Continue to stir and cook the shrimp for about 2 minutes. Add the hot pepper flakes and the parsley and cook for another 1-2 minutes. 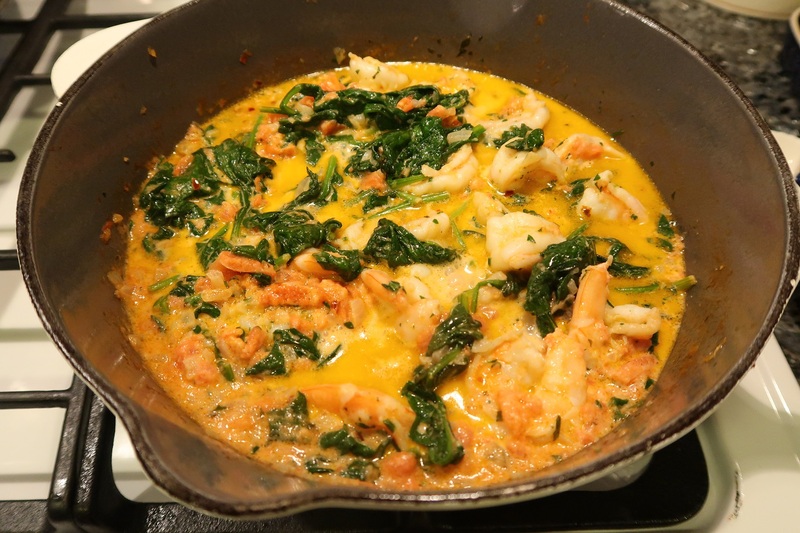 Remove the shrimp from the deep skillet and set aside. In the same deep skillet, pour in enough olive oil to cover the bottom. Fry the remaining garlic and onion until lightly golden. 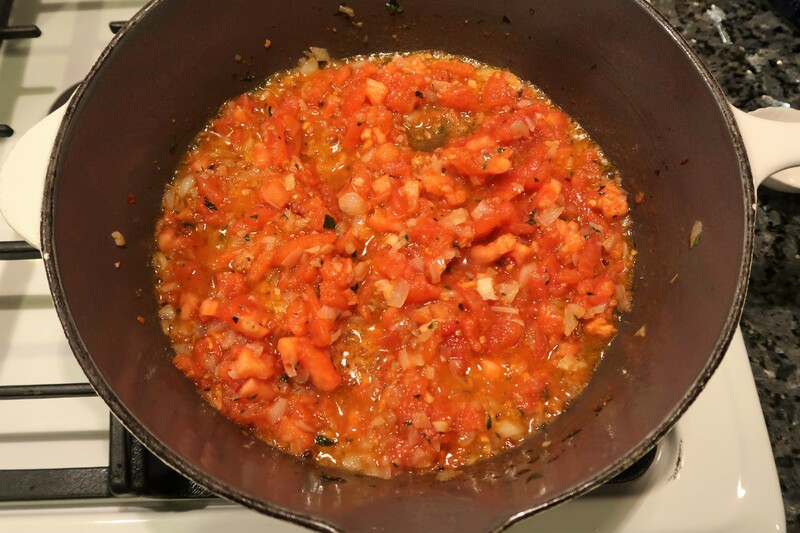 Add the tomatoes and cook for about 7 minutes. Next, add a handful of spinach at a time and stir in to fully incorporate. Continue to cook for about 2 to 3 minutes until the spinach has wilted down. 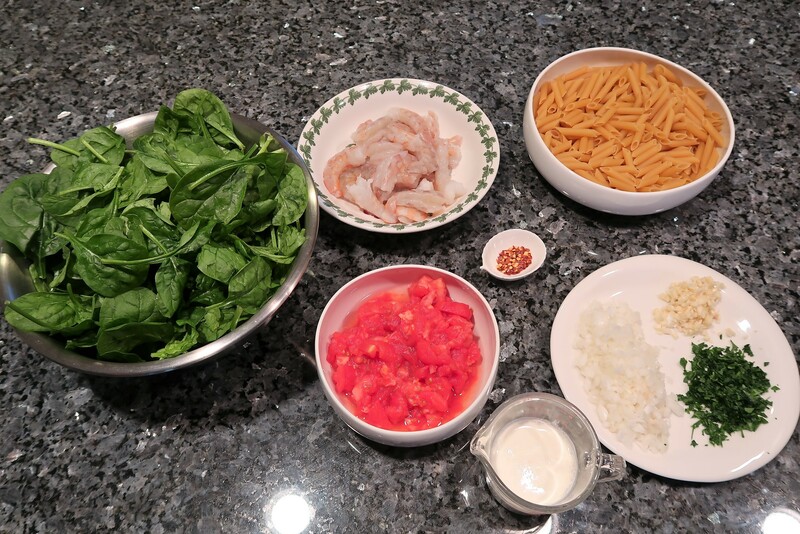 While the spinach is cooking, add the penne into the boiling pot of water and cook as per the package instructions. If you like you pasta al dente, like I do, remove the pasta 1 to 2 minutes before the time listed on the package. Once the spinach has cooked for a couple of minutes, lower the flame and stir in the heavy cream. Add the shrimp that was set aside and stir all together. Continue to cook until the pasta is ready. Drain the pasta and place back into the pot. Pour the ingredients from the deep skillet into the pot. Add two thirds of the cheese and mix all together. When serving, sprinkle a little bit of cheese on top for more flavor. Enjoy and cin cin!